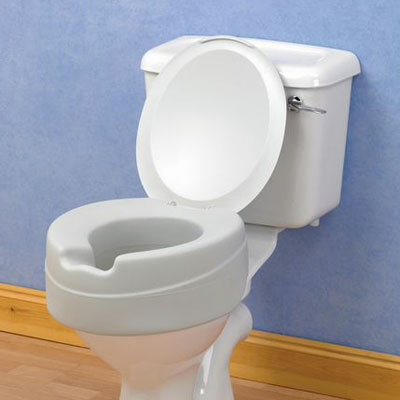 The Comfyfoam Raised Toilet Seat is made from a soft foam, it is very easy to fit and requires no screw fixings. Fits securely over all standard toilet bowls. It is very hygienic and easy to clean. The Comfyfoam Raised Toilet Seat is made from foam which is soft and forgiving, it is very easy to fit and requires no screw fixings. Fits securely over all standard toilet bowls. It is very hygienic and easy to clean. Height 4".